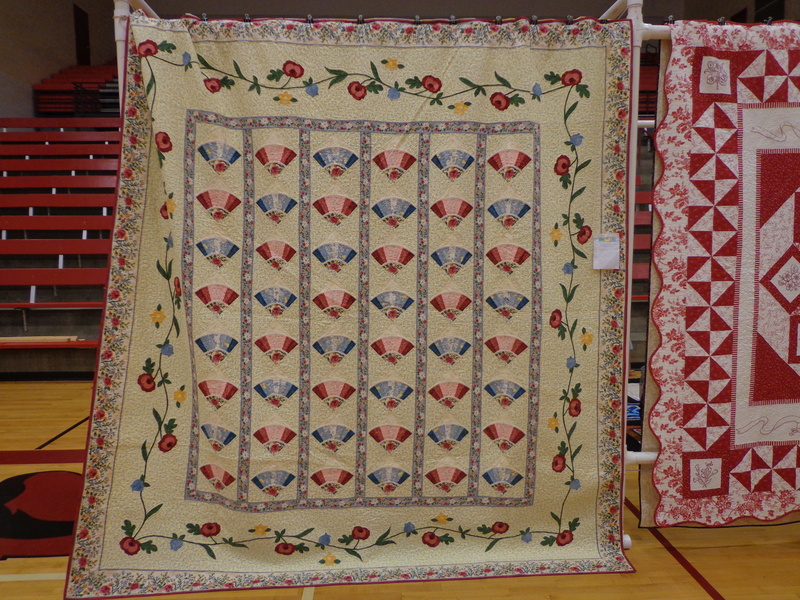 Many many decades of work went into these quilts and the skill of the woman who made these quilts. 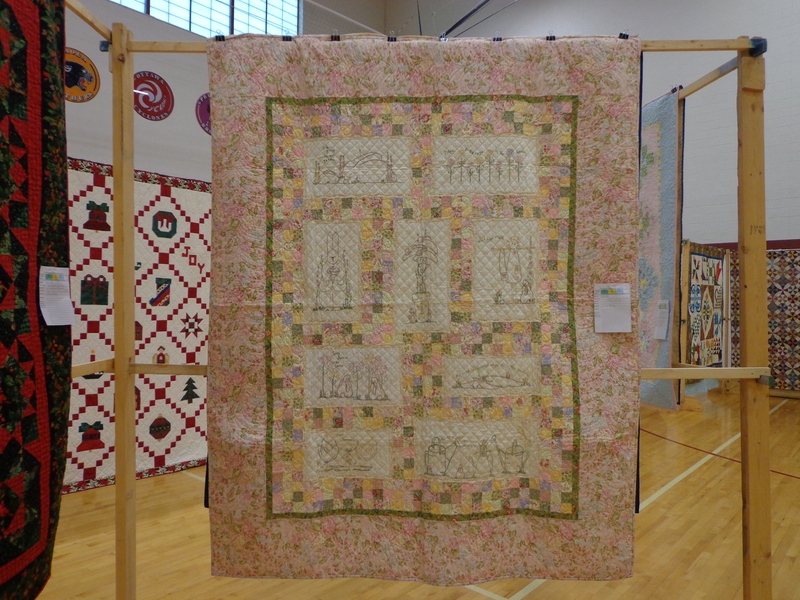 She shows up at a lot of guild meetings, has had cancer, has been looking very good lately, and was glad to be able to feature her quilts in our show. I personally may not be the most likely pairing of our featured quilter, but I admire all she’s done for the guild in the past and it’s just so nice to see her and talk to her at times. 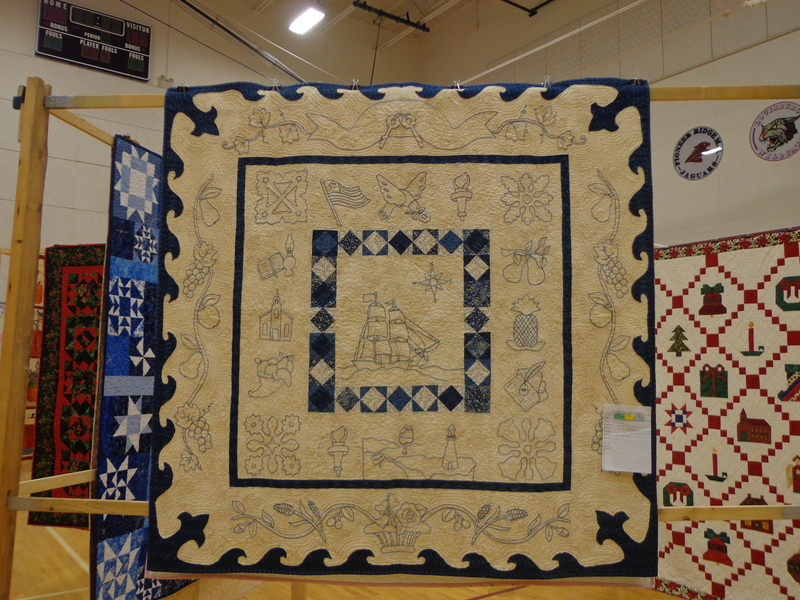 In all these years she still volunteers to work on other people’s bindings, and she still excels at embroidery, does hand quilting, and last year had the best folded fabric quilts. 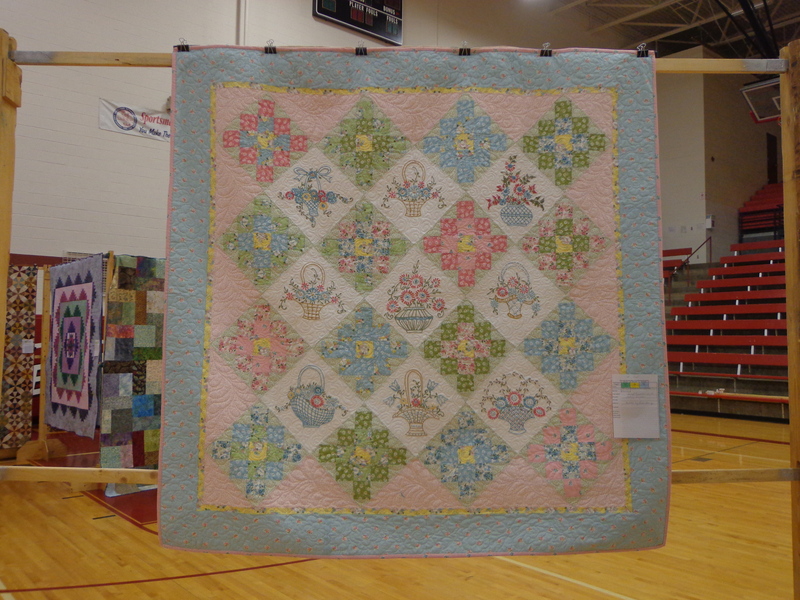 Her love of fabric and quilts is amazing and she had 20 quilts in the show, and I’ll show you some of her range. 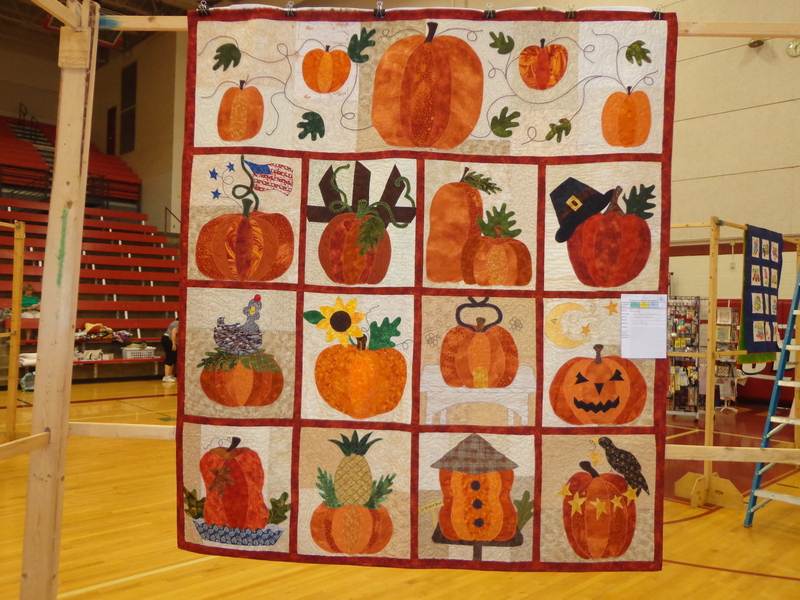 This was the most “Darla like” quilt of any she has done. 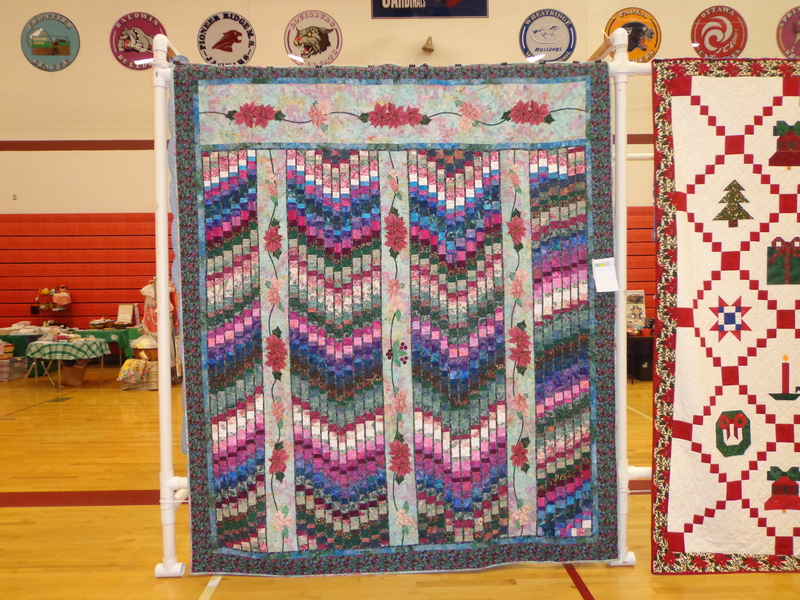 You have the bargello and the applique, and this is just nice. 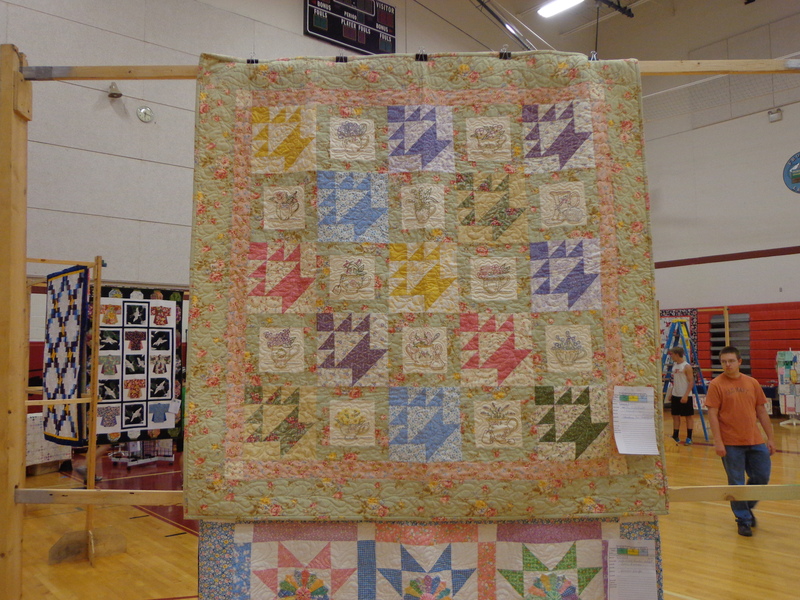 This one she was telling someone is her favorite quilt. Some nice stitching and embroidery here. Bluework. Cute pumpkins for something different. 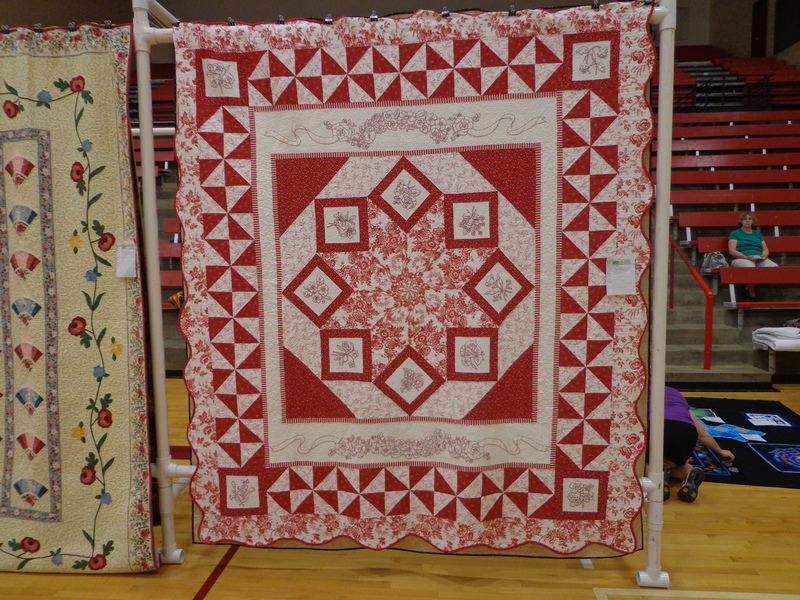 Super sized center with alternating on point and normal set embroidery blocks. Done in beautiful redwork. So lovely, nice colors and patterns.